One of the attractions of Blade & Soul are the fast paced sword slashes and unique combat which requires a more reactive mind & playstyle.Unlike other MMO's where rotations are more linear. 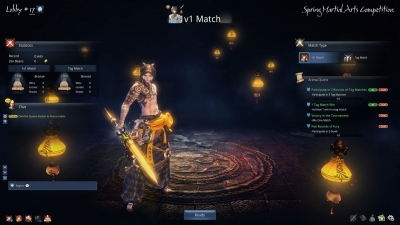 How can this be 'fun' in Blade & Soul PvP? There's nothing new in this but for the love of the game I must say something. Unlike Blade & Soul those games have a global cooldown, which make them a whole lot less ping dependant and very playable during PvP encounters.I'm sure there's a difference but we certainly don't feel gimped and we're able to do very well regardless. Regardless of which duels you watch, even to a noob like me, it becomes clear very fast that there are often a lot of attacks in a short amount of time.A PvP environment where the delay between attacks is minimal and because of this it's latency sensitive. No worries for those living in the US but for us down south, it makes all the difference in the world when you duel someone. A + 100ms latency difference ensures we will never get the same amount of hits of. 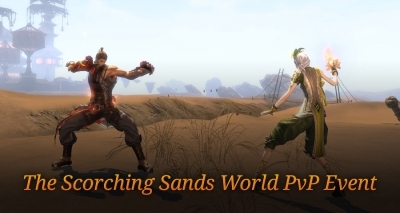 The Blade & Soul Dojo has in depth proof of this and many people and their PvP experiences support this. I've also noticed many players use a method called: cancel animation.It has been said that the method/keys differ from class to class but when viewing the difference between regular attacks and cancel-ani on let's say a Destroyer,the difference in damage is very noticable. This makes people with low latency even more dangerous to us.Flooding commands only works if your ping is low and as such cancel-ani is far less effective on a 150ms latency. During several occasions we can see Jaesung using a lot of attacks during a single CC (doing + - 50% health damage) and winning the duel because of it. I'm no expert by any means but someone capable of playing all those classes well - knowing their talents, skills, rotations, power and weakness - I'm sure has some idea of what's significant to the outcome of a duel. I kept telling myself that we can compensate for a bad ping with experience, skill and a good talent build & rotations but now I'm not so sure anymore. For me, a sense of improvement is what keeps players occupied and returning. When you loose, most will wonder why, learn something and adjust accordingly. But with the situation we South America players face now the outcome of playing Blade And Soul seems detrimental,for when losing, instead of observing, reflecting and learning, we just blame it on the latency/ping. And it's exactly this train of thought (of continuously blaming something else) which makes people stop playing (certain) games! With all my heart & logic I can say that I might the very last person who points his finger at another and blame them for my failures - I never rage, type unfriendly sh!t & insult people or tell them how they should conduct themselves but losing continuously because of (a high) latency... that might be the last straw to a PvP player like me. I completely understand that the Blade & Soul leadership can't make decisions without the game being even live yet and I'm sure it will take some time to even consider placing a server in South America in order to keep our pings low. If anything, Brazilians love free stuff and I'm hoping all the subscription based WoW players here will try out the free to play Blade And Soul because of it. This weekend’s Closed Beta 4 test will be live from December 11 at 10:00am PST/6:00pm UTC, until December 14 at 10:00pm PST/ December 15, 6:00am UTC.